Driving the design of new materials through the spirit of innovation, collaboration and ambition. 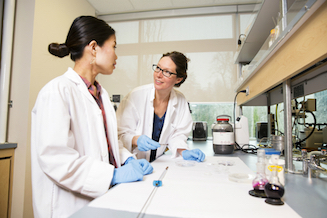 In the vast field of materials science and energy, UVic researchers are leading the way in nanotechnology, advanced imaging technologies, biomedical devices, and materials for energy applications. Through sustainable and durable materials, more efficient renewable energy systems, to new techniques for diagnosing and treating disease, materials science and energy is changing the way we live. 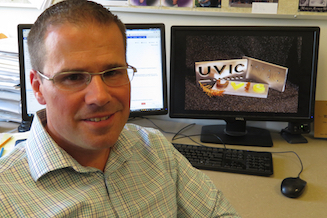 Ian Manners joined UVic in 2018 as a Canada 150 Research Chair, where he is leading the development of the Laboratory for Synthetic Self-Assembled Materials. 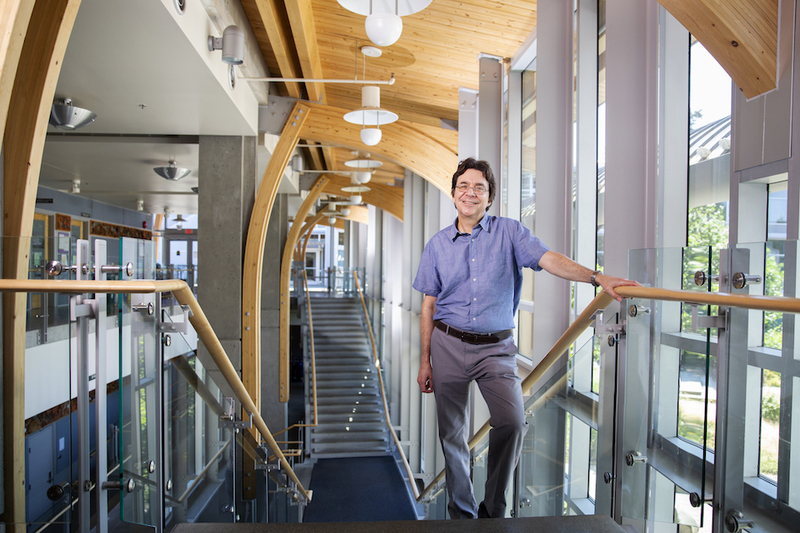 He joins six other Canada Research Chairs with research related to Materials Science. The Advanced Microscopy Facility is home to a Scanning Transmission Electron Holography Microscope (STEHM) with spatial resolutions that are are among the best in the world. We are 2nd in Canada for scientific impact in physical sciences and engineering, and math and computer science (Leiden University Rankings). A durable industrial plastic adapted by Jeremy Wulff for use in automotive components could be a step toward lighter vehicle weights and greater energy efficiency. 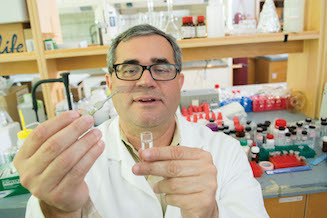 Alex Brolo is developing new ways to use gold nanostructures—microscopic bits of matter 10,000 times smaller than the width of a human hair—to diagnose viruses such as Zika, dengue fever and cancer. Natia Frank has developed a material that will make computers and smartphones faster, more durable and more energy-efficient.